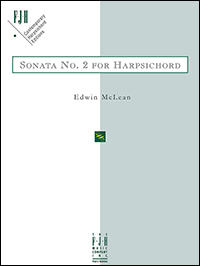 The Sonata is a winner of the Aliénor Harpsichord Composition Competition in the solo category and is available on Gasparo Records, performed by harpsichordist Elaine Funaro. The Sonata, which also received a citation for its accessibility, may also be played on the piano or digital keyboard. Here is a winning combination of old and new. 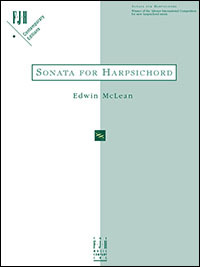 This three-movement sonata contrasts the traditional sound of the harpsichord with tonality and syncopations common to popular music and jazz. There are guitar-like moments in the first and third movements, while the second alternates between the baroque and the modern. McLean brings all the character of the instrument to light. Winner of the fifth Aliénor International Composition Competition for new harpsichord music, Suite Española was inspired by the music of Spanish composer Isaac Albéniz and is written in a style accessible to a wide range of performers. 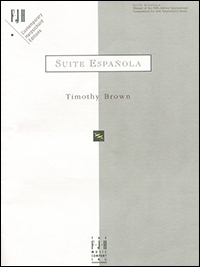 The four movement suite includes Malagueña (an emotional song), Romanza (imitates guitar strumming), Seguidillas (a fast triple-meter dance), and Tango (romantic and passionate), exploring familiar Spanish themes.